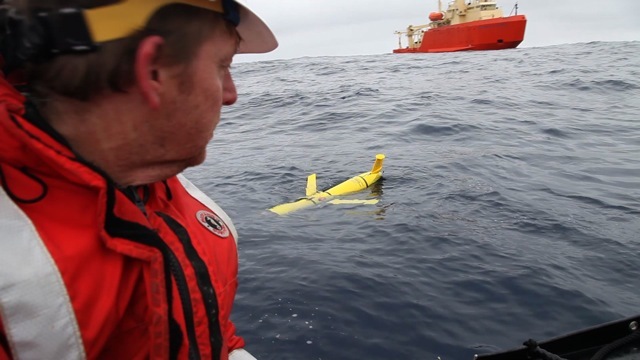 We’ve been at sea for several weeks, and as the sampling starts to wind down one last thing we needed to do was retrieve the Slocum’s gliders that had been released on a mission from Palmer Station several weeks ago. 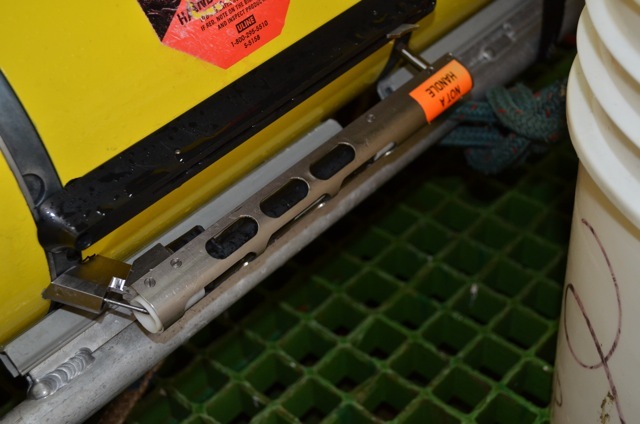 As others on the ship are finishing up research, collecting data and storing samples for the trip home, we needed to talk with Rutgers University in order to position the LMG in the right spot to retrieve both of them. The technicians at Rutgers contacted the gliders via satellite and programed them with GPS coordinates relative to the location of the LMG. It’s a tricky process. The team needed to make sure that two of the gliders coming from two different directions met and then surface at the right time. Once we got those coordiantes, we launched the zodiac from the LMG. Dr. Oscar Schofield spotted the first glider and managed to catch it on our first try. After he pulled it into our Zodiac, I helped to steady the glider while he removed the wings and then stowed the glider in the bottom of the boat, making sure to be careful with the scientific instruments attached to the sides. After stowing the first glider away safely, it was a race to find the other one. The crew at Rutgers did an amazing job, getting the gliders to surface only 900 feet apart from each other within a 5-minute timeframe. Simply amazing! 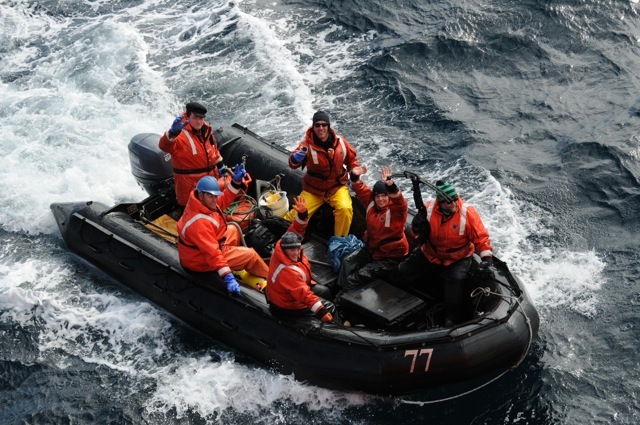 Soon enough, both gliders were aboard the small Zodiac, and we headed back to the LMG. Once onboard the LMG, the gliders were turned off by satellite by the Rutgers crew and then safely tied to the ship to prevent them from being bounced around. 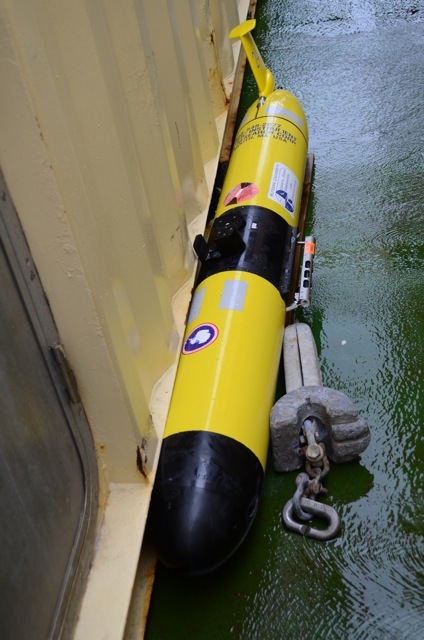 Once we reach Palmer Station, the gliders get safely packed in their travelling cases and then shipped back to Rutgers. 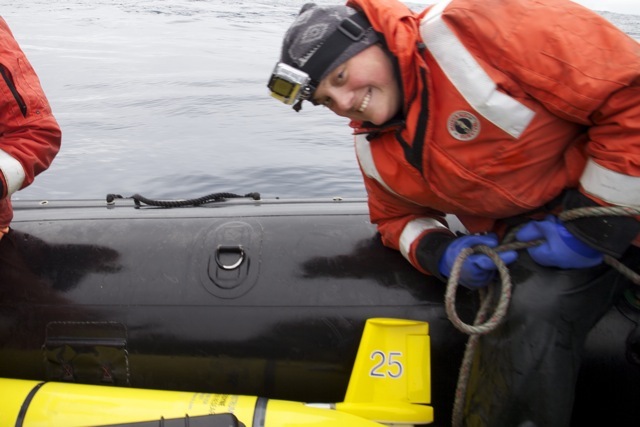 At that point it’s up to the researchers to analyze the data to figure out what the gliders managed to find during their six-week adventure along the Western Antarctic Peninsula!